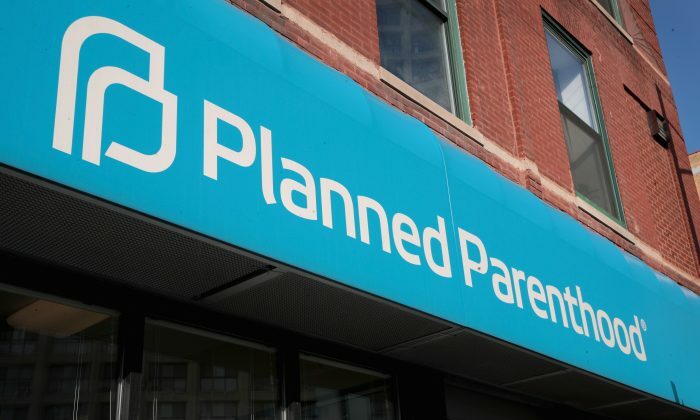 SACRAMENTO, Calif.—California Assemblyman Jesse Gabriel has introduced a measure that could see Planned Parenthood’s hotline phone number printed on students’ school ID cards at public, charter, and private California schools. The bill is directed toward students in all middle schools, high schools, and colleges. Also known as the “Pupil and Student Health” bill, AB 624 would mandate that three hotline numbers be added to the ID cards: the National Sexual Assault Hotline, the National Domestic Violence Hotline, and a sexual or reproductive health hotline. The bill would also allow the numbers of a local sexual assault hotline and a local domestic violence hotline to be added to the cards, but that wouldn’t mandatory. Some worry that the “sexual or reproductive health hotline” could be Planned Parenthood. “This isn’t going to sit well with parents and private school educators who vehemently oppose abortion and the sexual behavior promoted by Planned Parenthood,” the California Family Council (CFC) said in a statement. The CFC strives to educate Californians on public policy issues, based on “God’s people living as principled citizens of both heaven and earth,” according to its website. Planned Parenthood is the leading provider of abortions in the United States. It receives approximately $500 million a year in government funding. However, new rules from the Department of Health and Human Services (HHS) will reduce the amount of government funding provided to the organization. Gabriel, who introduced AB 624, was endorsed by Sarah Mitchell, public affairs and communications manager at Planned Parenthood Los Angeles, in April. Gabriel also received a monetary contribution from Planned Parenthood to his 2018 campaign. However, legal experts have questioned whether AB 624 would violate the First Amendment for freedom of speech, according to CFC. “Compelled speech violates free speech, so the government cannot compel someone to say something, especially things that they have some firmly held beliefs against,” Greg Burt, director of capitol engagement at CFC, said in an interview with The Epoch Times. Parents and educational institutions that oppose the views and messages of Planned Parenthood worry the bill could infringe on their right to voice their opinions. “This outrageous California bill proposed by Assemblyman Jesse Gabriel is an attack on the First Amendment by forcing every California student to become a spokesperson for Planned Parenthood,” Mat Staver, Liberty Counsel’s founder and chairman, said in a statement. Liberty Counsel advocates for religious freedom, the sanctity of human life, and other traditional values, according to its website. Others say the addition of the hotline number could pose additional concerns for parents and families who want to stay informed about their children’s behavior. “If a young kid finds themselves pregnant, you want them to make an informed decision; you want them to turn to their parents for help. Planned Parenthood doesn’t want you to turn to your parents; they want people to turn to them,” Burt said. Burt said the introduction of AB 624 may further encourage young students to seek guidance from anonymous hotline phone receptionists, rather than their own parents. “Planned Parenthood is right there to provide their version of morality to young kids,” Burt said. Last year, California passed SB 972, which required the suicide prevention number to be placed on the back of student ID cards for public, charter, and private school grades 7 to 12. That bill opened the door for government officials to add the contact information of other organizations. AB 624 will go to the California Assembly Education Committee on March 27 for a hearing.